Supernatural: Paper Moon. The boys are back! Well, where were we? Oh yeah– Dean is cured (mostly) and they are back to their old routine (mostly). Of course we know that sitting by the lake and drinking beers isn’t going to last long with the boys no matter what they’ve been through. So we assume they’ve been “relaxing” for at least a few days and are getting antsy. We do get to see the boys bonding again which we haven’t seen in much longer than I feel comfortable with. As expected though just a few minutes into their talk Dean brings up a possible case (which Sam obviously had already noticed as well). I get that Dean needs to work to feel normal again and I buy that Sam understands this too. I’d like to take a moment to mention that if it’s been a while since you’ve seen “Bitten” (Season 8 Episode 4) I recommend going back and watching it (before this new episode if you can, or if you’ve already watched it go back and watch the old episode so you can see all the things you missed). That’s where Kate is from (the werewolf that they almost kill at the beginning of this episode). They let Kate go because it seemed like she could manage out in the world without hurting anyone. This whole premise of letting monsters go that are trying to be good is something that the boys have been struggling with for a while. They both seem to go back and forth on the subject (Dean killed Amy Pond even though Sam wanted her to live and Sam wanted to kill Benny even though Dean backed him up— speaking of Benny– will we ever see him again? Cause that’d be cool). Bitten was one of my favorite episodes in Season 8– which really isn’t saying a lot because Season 8 was weird, but this episode was good on any standard. It was interesting and different so I’m glad they revisited this character. Quickly into their interrogation it becomes clear that Kate probably isn’t to blame or at least isn’t working alone (and Kate manages to break away which I blame either on their rusty hunting skills or their desire to trust her on some level). 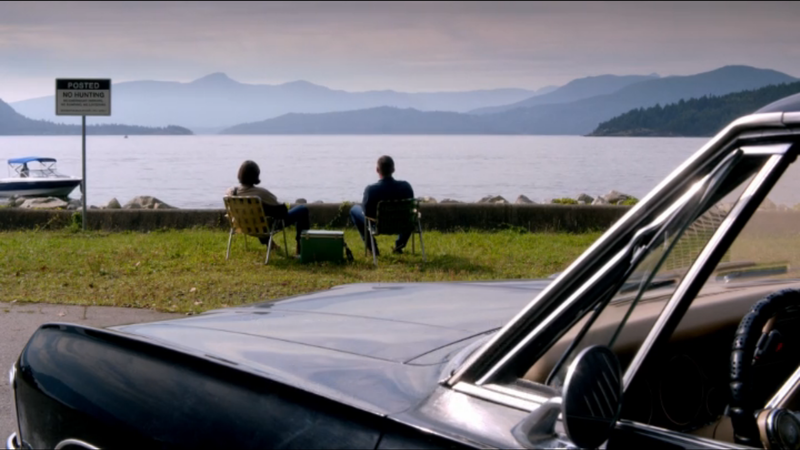 Kate runs away and Dean and Sam get to have a heart to heart in the Impala on the way to where they think she ran off to. This scene shows not only what we’ve been missing, but how so much has changed. Sam blows off Dean’s concern about Lester (remember creeper dude that Dean killed while he was a demon?) and seems truly puzzled that Dean is concerned about guilt over this scumbag’s death. No matter how bad Lester is Sam has always been the one that didn’t want to kill humans (well except when he was soulless Sam, but that was understandable). I think both boys are equally guilty as far as Lester is concerned and maybe they are both trying to blame the other as far as all that baggage so that way they don’t have to face any of their own inner demons (hehe). It appears that they’ve caught up with Kate when surprise surprise it wasn’t Kate, but Kate’s sister who happens to also be a werewolf and a werewolf that tries to kill the boys. Kate saves her and fills in the boys and even Sam wants to take care of her. (Let me take a moment to also say how happy I am to see Dean with his gun again. He’s been favoring his stabby weapons lately and seeing him with his pearl handled gun is great). Kate really seems to have everything in her own life under control, but it’s obvious that her sister, Tasha, is enjoying being a werewolf to the fullest. It’s also obvious to everyone but Kate that she’s out of control. I can’t say I blame Kate for wanting to believe the best in her sister. She turned her to save her life and the boys have done some crazy things to save each other so I can understand Kate wanting to help her sister. Dean feeds her a line about how he can cure them and that she needs to take Dean to her so that he can fix their problem. Now this is a load of crap, but Kate believes it and leads them to their rendezvous point. Kate falls asleep and we get to see the boys have another talk. Seriously this is the best their relationship has been since probably Season 3. Sam admits to doing things he’s not proud of and Dean makes a few smartass comments, but mostly lets Sam know he understands what he was going through and even THANKS him for saving his life. Damn it’s nice to have my boys back. Dean very smoothly breaks the news to Kate that there isn’t a cure (or handcuffs her to the steering wheel) and then goes up to the house with Sam to take care of Tasha. Kate is still in denial about how bad Tasha is and Dean says something that really stuck out to me. He says, “No, Tasha is in too deep. You don’t come back from that. Not ever.” Well I’m going to go ahead and say that being a demon with the Mark of Cain on you is about as deep as you can get. I’m assuming this is foreshadowing some rocky times ahead, but I’m just going to dwell on the good stuff for the moment. Dean has consistently called Sam, Sammy this season and along with it being another thing I love, I feel like he’s trying to hold onto his humanity through his brother. Now insert twist. Tasha not only has gone way overboard, but has also turned a few friends in an effort to start her own pack.I’m surprised with the lack of fight that the boys put up. I mean really, Dean killed a whole coven of vampires alone and Sam just got off of a demon/monster killing spree. So their next actions are pretty awesome. Seemingly beaten Dean and Sam play the guys holding them into getting close enough to stab them quickly in the heart. So yeah that’s awesome. While the boys are killing their own werewolves Kate is busy having a conversation with her sister and then subtly stabs her in the heart as well. I’m really happy that Kate took care of Tasha. I don’t think that she could have forgiven the guys if they had taken her out without Kate getting to try to get her under control herself. She runs off and later calls the boys to settle everything with them. I do want good things for Kate. She truly wants to do the right thing despite her issues. Dean rounds off the episode by admitting that maybe he isn’t ready to hunt, but that he “just wants to do the right thing man, because I’m sick and tired of doing the wrong thing”. So yep, this episode has officially pushed this episode into awesome territory. Coming up we have the 200th episode (holy crap) and it looks to be one of the awesome funny/weird/out in left field episodes that everyone loves. ← Supernatural: Soul Survivor. Something good is bound to happen sometime right?